Sweet-toothed pudding fans with a penchant for ready made, sweet tasting goodness, get ready to meet your new addiction: Angel Delight in a pot. That's right, the snack from our youth has had a hassle free revamp and we're totally here for it. Angel Delight: it's the ultimate lazy girl snack, am I right? Simply pour the angel powder (or angel dust as I like to call it) into a bowl and add milk, then mix together, and once you've licked the bowl clean of course, your sugar craving is satisfied by a fluffy mousse treat. But if you're so lazy that even the thought of mixing milk and powder feels like too much effort, allow me to introduce the holy grail of faff free pudding: Angel Delight in a pot. The makers behind the original Angel Delight, which was first launched way back in 1967, have created a new ready-made product in 'an attempt to modernise the 50-year-old powdered dessert brand,' targeting the minimal-effort masses (that's us by the way). As if this wasn't already the greatest foodie news ever, the fact it's in a plastic pot means you can now save on the washing up too. It just gets better. 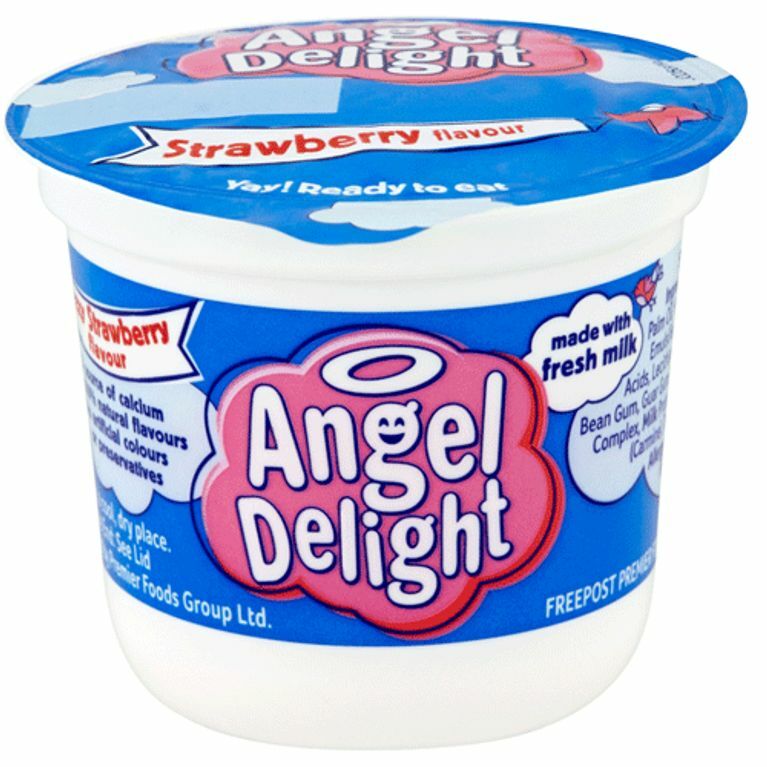 Oh if only this existed back in our university days when it was acceptable to live on Angel Delight right? Well I say to hell with that. Grab a spoon, peel back the lid and indulge whenever you see necessary, whether that be a 3pm energy dip in the office, an 8pm sugar craving on a Wednesday evening or even a 7am pick me up on the way to work, there's no need to justify your reasons for hitting the butterscotch bowl. Grab your single serve potted treat for a mere 50p at Tesco online, and choose from classic flavours strawberry, chocolate, banana or the aforementioned butterscotch. Oh who am I kidding? There will be no choosing between the flavours, we'll be buying the whole range, and in bulk too. Do you think ready made Angel Delight is a good idea? Let us know @SoFeminineUK!